Welcome to our 16 chapter, 13,000 word guide to Local SEO. We believe this is the most comprehensive Local SEO guide on the ‘net. If you are a local business that wants to get noticed in search engines and generate more customers, you have to understand Local SEO. Without a Local SEO plan in place your business will not be able to take advantage of the local online demand for your products or services. In this free e-book, we will discuss everything you need to know to start an effective Local SEO campaign for your business. Topics include; “What are the best practices for Local SEO?”, “Google My Business optimisation”, “Local SEO Keyword Research”, and other advanced tactics that will help your business get more exposure, traffic, and customers. But for now, let’s start with the basics. Local SEO is a branch of SEO that specifically deals with search engine optimisation for local businesses. 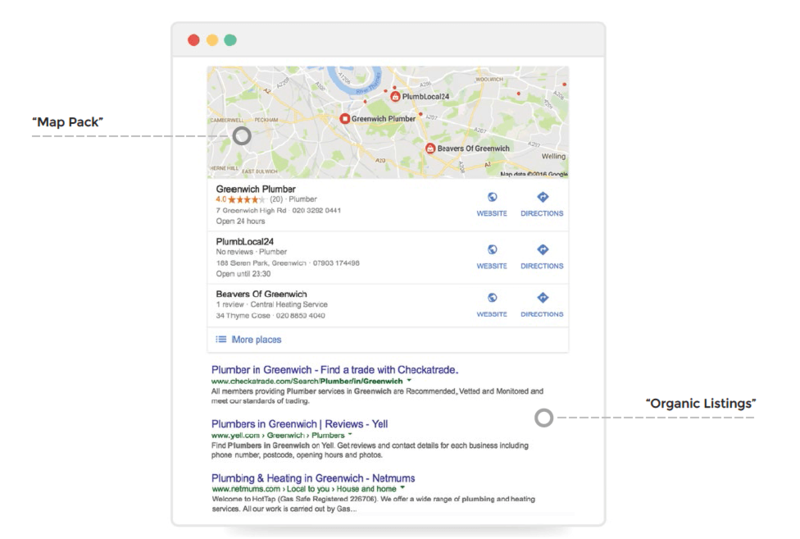 Undertaking an effective Local SEO campaign will allow your business to appear on Page 1 of Google’s search engine results pages, both in the “Map Pack” and the “Organic Listings”. SEO, as a whole, covers all types of businesses, blogs, and websites. Back in the 1990s when SEO used to be simple, there wasn’t much difference between SEO and Local SEO. However, today there are several nuances that specifically and exclusively affect Local SEO. 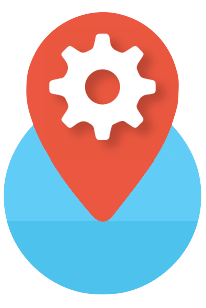 Local SEO specifically helps you optimise your business for people searching from a nearby location. For instance, if I search for “pizza restaurants in Bromley”, Google shows me the following results. 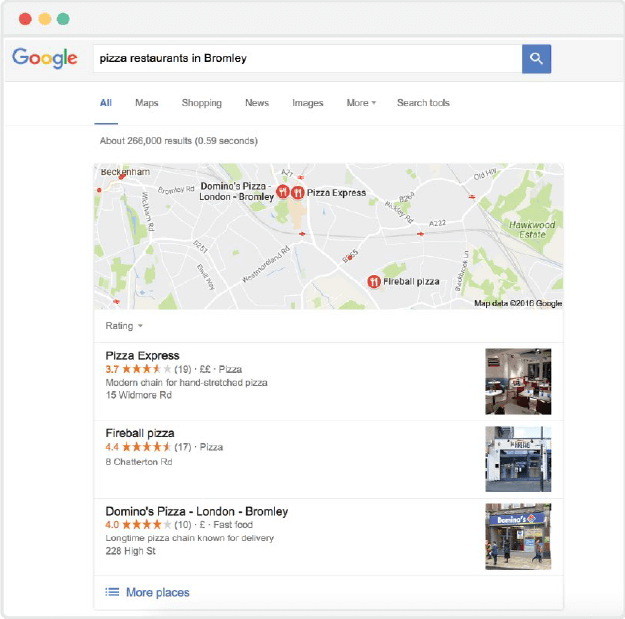 The question is – if you have a pizza restaurant in Bromley, does Google display your business in its results? If not, can you imagine the amount of traffic and potential customers you might be losing because your local business isn’t listed on Google when nearby customers search for your product or service? This is why Local SEO is so important. What’s more, the importance of Local SEO will only continue to rise in near future. That’s because of the expected continued rise in mobile device usage. Mobile users tend to search for nearby business on the go, because, most probably, they are looking to get an instant solution so they can get to the nearest business place and buy what they want. According to a recent study, approximately 56% on the go mobile searches have local intent. If search engines display your business information and website, you will benefit from all that local buying intent. Those local listings will not only get higher click-through rate (CTR) but they are also likely to get more customers for your business. Local SEO can seem a bit technical to some people. The important thing, however, is that Local SEO is almost always cheaper and more effective than traditional marketing. And what’s more, Local SEO really is not too technical either. In traditional marketing, you run adverts in local newspapers, distribute flyers, get yourself in local magazines. All those are very costly methods. And if you do not know well a particular marketing channel is performing, you cannot optimise your budget. You cannot cut back spending money on offline channels because you don’t know which ones are generating customers and leads for you, and which ones are not. On the other hand, you can track everything with a Local SEO campaign. It certainly requires a lesser amount of investment to set up and continues to yield great returns once you get to the top of Google too. More importantly, you can track exactly how much traffic, leads, and customers you are getting via Local SEO and organic search traffic. and the techniques required to optimise your website, which will eventually help you move up the rankings and get more sales. Let’s continue to the next chapter. In today’s digital marketing landscape, Google My Business (formerly known as Google Places) is now the starting point of Local SEO. Thankfully, setting up your Google My Business page isn’t very difficult or complicated. Just follow these steps to get your Google My Business page activated and set-up. Visit www.google.com/business to get started. Click on the “Start Now” button. 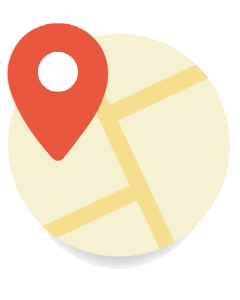 You will be redirected to a Google Maps page where you can search for your business. Locate your business, and you will be asked to verify that it is yours. If you can’t find your business, no sweat, simply click the “None of these match – Add your business” button. You will be asked to complete the information for your business. 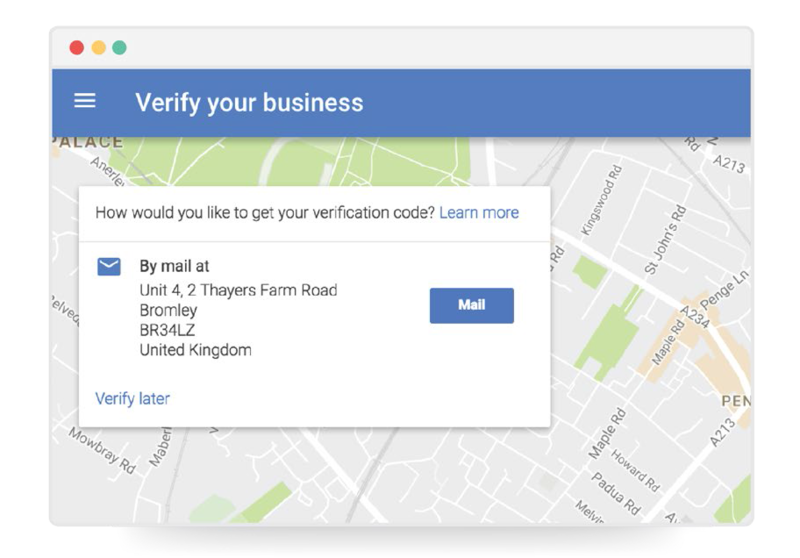 Confirm your business address with Google through the verification process. This involves Google sending you a letter in the post with a secret pin. Upload additional information to your business profile including images and opening hours. Your goal should be add all the necessary information and leave nothing out. Finally, make sure that you complete the verification process once the secret pin is sent by post to your address. This will allow you to fully claim the business listing and access more advanced features that unverified users cannot. It is of vast importance that your Google My Business page is verified. Now, lets discuss how we can optimise your Google My Business page to its full potential. When we talk about SEO or Local SEO, most businesses limit it to Google. Google is, without any doubt, the largest search engine in the world. More than 50% of your website traffic will probably come from Google. However, it does not mean that you should completely ignore the rest of the other search engines. After all, you need to maximise all online traffic sources, right? And the fact that not many businesses think like this gives you an opportunity to get higher in the other search engine listings, e.g., Bing. Bing is the second biggest search engine and is responsible for approximately 20% share of the world’s online searches. If you truly want to optimise your Local SEO and get the most amount of traffic possible, it is important that you not only look at Google, but also optimise your search engine listing for Bing Places for Business. 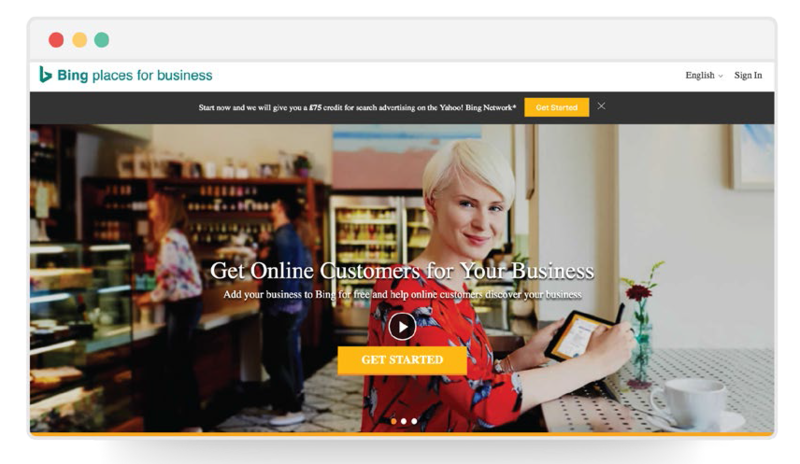 In this chapter of our e-book, we discuss how you can setup Bing Places for your local business. Visit Bing Places and click on ‘Get Started’. Repeat the same process as you did with Google My Business. You can either type in the name of your business or its location to get started. In case your business doesn’t appear in the search result, you can click the ‘Add New Business’ button. For this third step, you are going to need a Microsoft account. So if you don’t have one, create a new Microsoft account. After that, login and you can start adding the necessary business details. After you have submitted all the necessary business details, you will have to verify that you are the rightful owner for the business. The verification process is very similar to Google My Business. Just add your address and you will receive a verification pin in the post in a week or so. 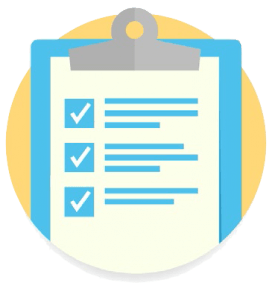 After the verification process is complete, you can start managing your business listing. By now, you have a Google My Business listing as well as the Bing Places listing. This enhances your business’s appearance in local search results, which brings more exposure, traffic, and potential customers to your website. Once that’s out of the way, we can now dive into more detailed and advanced tactics regarding Local SEO. And that begins with the next chapter of the book, keyword research for Local SEO. As a savvy business owner, you know how important keyword research is and always has been for SEO. These are some of the keywords that represent the buyer’s intent. Your goal — if you want to be good at SEO — is to appear on the top of the search engine results pages for the keywords that are important for your business. So whenever a potential customer searches for your main keywords, they find you and, hopefully, click on the result, land on your website and buy your product or service. There are many keyword research tips that SEO experts use on a daily basis. In this chapter we are going to specifically discuss keyword research tips that local businesses should use to get ranked higher in the local SERPs (search engine results pages). The Google Keyword Planner is, by far, one of the best and most effective keyword research tools out there. If you are looking to find the best keywords for your business, you just have to make use of the Google Keyword Planner. Also, it’s free so it really does make sense to try it to find some good keyword ideas. 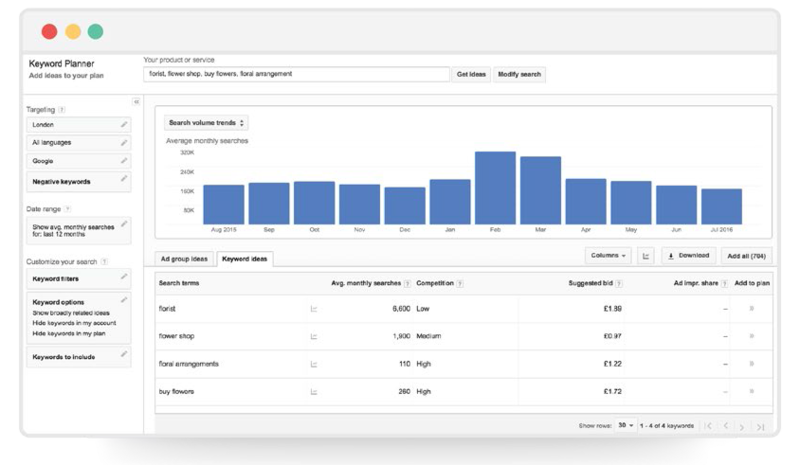 The tool shows you exactly how many people are searching for “keywords” related to your business. What is more, the tool also breaks down the search volume for each keyword by the month of the year, so you can see if there is any seasonal variation in the demand in your industry. Here is how you can use the Google Keyword Planner to come up with some good keyword ideas for your local business. 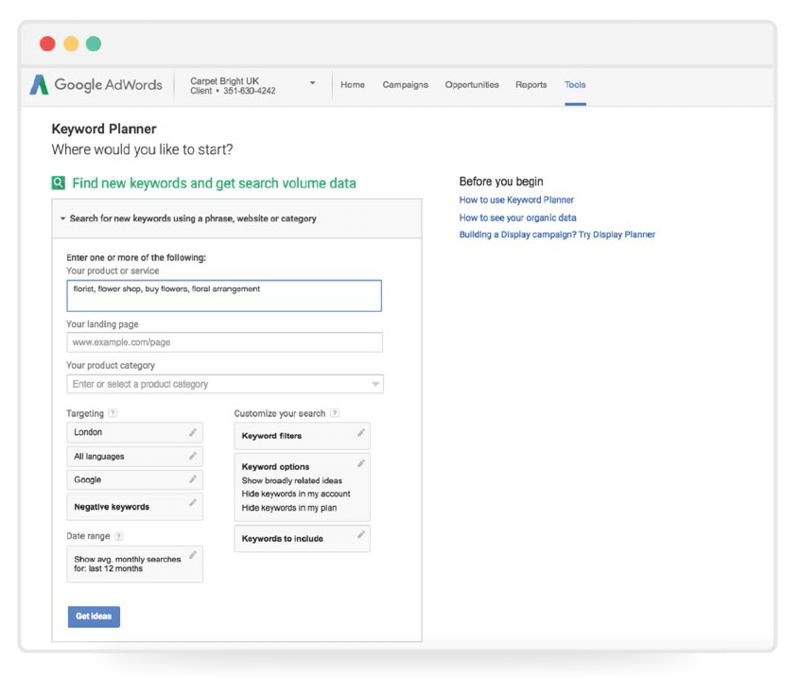 Start by logging into your Google AdWords account and open the Google Keyword Planner tool. Select ‘Search for new keyword and ad group ideas’. Next, brainstorm a few important keywords that are most relevant to the type of business you are in. For example, if you are a florist, keywords like ‘florist’, ‘flower shop’, ‘buy flowers’, ‘floral arrangement’, etc., would be most appropriate and relevant. 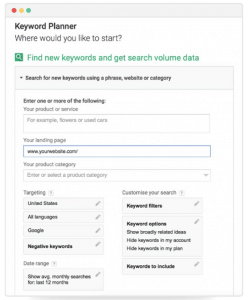 Insert these keywords in the Google Keyword Planner, remove any default country targeting, specify the exact geographical location you want to target with your business, and click ‘Get Ideas’. On the next page click ‘Keyword Ideas’, and you will be presented a long list of good related keywords to start from. You can use these keywords as inspiration. You can also use these keywords to dig up some more relevant keywords that you might have missed the first time. Moreover, you can use these keyword ideas with in conjunction with some of the other techniques that we are going to discuss in the following sections of this chapter. I highly recommend “stealing” keywords and keyword ideas from your competitors. And no, it is not unethical. In fact, almost every intelligent business does it. Who knows, some other local business might be stealing keywords ideas from your website! It is just how the online marketing and SEO world works, and it is actually healthy that way. It is not too uncommon to run out of ideas when you are brainstorming for different keywords, but that’s the advantage of competitor analysis. You do not have to think of every single keyword idea by yourself. That’s because you can leverage your competitors research. 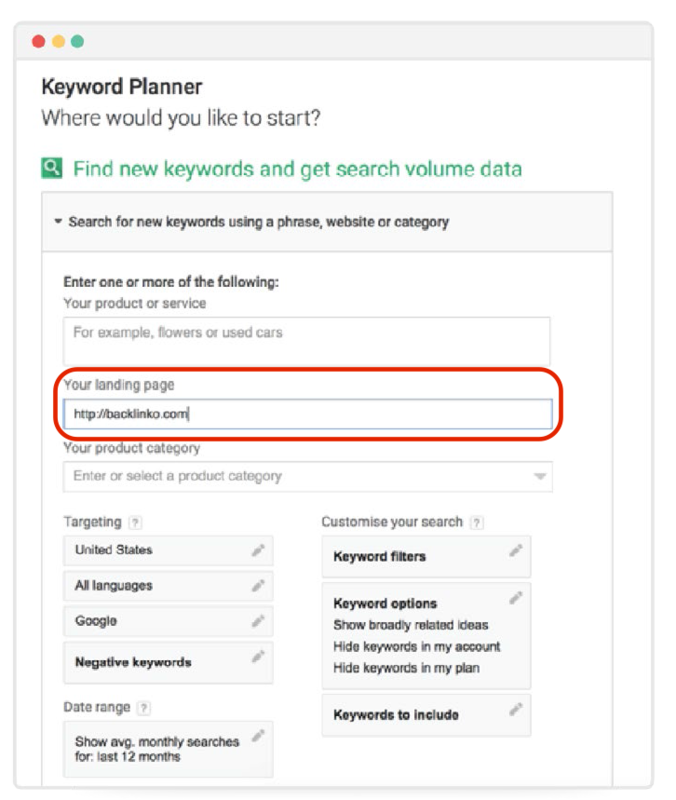 Go to the Google Keyword Planner tool and paste one of your competitor’s landing page URL in here. 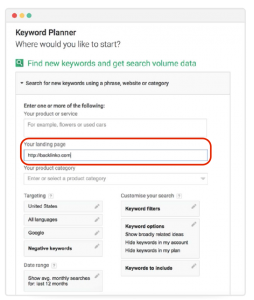 Based on that page’s content, Google’s Keyword Planner tool will come up with keywords that it thinks are most relevant. You can use these keyword ideas as “seed keywords” to brainstorm and research more keywords. Also, if you feel like you are running out of keywords again, you can repeat the same process with another one of your direct competitors. Furthermore, if you have the budget for it, you can even buy a more premium tool (Google Keyword Planner is just a free tool – and it is usually enough for most businesses) such as Ahrefs, Moz, SEMRush, or SpyFu. All these are excellent tools that give you valuable insight and analysis of what your competitors are doing and how successful they have been at doing that. When you are optimising a local business website it is highly recommended to increase the number of keywords you are targeting with “local keywords”. It is a simple technique that simply adds the name of your local area with the most important keywords that describe your business. These local keywords will have lower search volume, yet the intent of the search engine user searching for these keywords is very precise. When it comes to “head keywords” vs. “long-tail keywords”, long-tail keywords always win. Furthermore, when it comes to Local SEO, long-tail keywords become all the more important. Simply because long-tail keywords best reflect the user-intent. And you really want to be appear for keywords that reflect buying user intent. Long-tail keywords always have more buying intent. Although they may have lower search volume, they do have a much higher conversion rate — especially when compared to head keywords. For local businesses, it is highly recommended that you go after these long-tail keywords that get you not only traffic, but also paying customers. Apart from “local keywords”, you can also use the “keyword modifier” technique to get more long-tail keywords that would help you get better, more targeted traffic. We discuss the “keyword modifier” technique in the next section. For local businesses, there are often a few keyword modifiers that can help you explore more keyword ideas. Moreover, you can also these keyword modifiers to get more long tail keywords to target too. 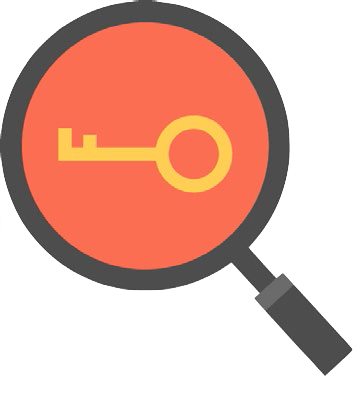 There are two different types of keyword modifiers that you should consider exploring. First, use common adjectives that people often use when they are searching for local businesses or product/services. For instance, “best pizza near Bath” or “cheap jewellery”. Second, use keywords that are branched out because of a specific nature of the business and its products or services. Before you finalise your list of keywords, it is good to use Google Trends and see if the interest in those keywords is rising or falling. Most local business owners do not pay any attention to Google Trends when they are selecting keywords to target. However, by doing so you ensure that you are only targeting keyword ideas that are going to benefit you in the near-future. It saves a lot of headache and resources down the line. The idea here is very simple. Visit Google Trends and insert your shortlisted keywords that you intend to target. 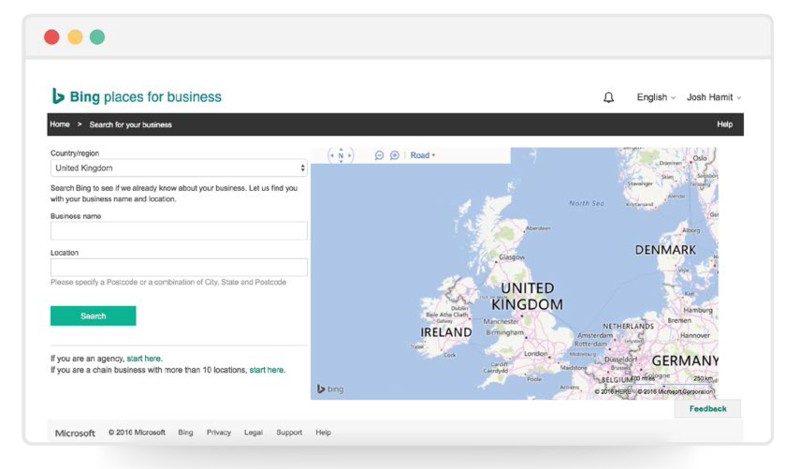 The most important part here is to select the local regions and areas your business is going to target. This way, you can see the interest of your potential customers in keywords over time. And you can also see the regional interest for those keywords. and see the exact trends over time. As there is with every type or marketing or advertising strategy, there are proven, time tested best practices that when implemented correctly will help you immensely with your Local SEO campaign. Follow these best practices, and you will be able to get higher in the local search engine rankings. Keyword research has been listed as “Number 0” because it is a prerequisite to performing best practice on-page SEO. Although we have discussed keyword research in the previous chapter, it is important enough to mention it once again. It is, after all, a very important practice to complete your keyword research before you proceed any further. Keyword research is crucial because it gives youan insight of what your potential customers and target audience are searching for — especially in your specific geographical region. Now, once you know what keywords your potential customers aresearching for, it’s time to integrate those keywords on your website. For example, if you are a garden design company and find out through your research that people are searching for “Japanese garden design ideas”, “modern garden design ideas”, “small garden design ideas” you know it will be a good idea to create content that matches those keywords. It will not only get you up in the search engine results pages (SERPs), but it will also help you land more targeted customers. The bottom line is that without proper keyword research, you just cannot nail local on-page SEO – or any type of SEO for that matter. And as you will see in the upcoming sections, you also use this keyword research in optimising the meta data of your website. It’s super important! The title tag is one of the most important aspects of the on-page search engine optimisation process. The title tag is the text that appears in the search engine results pages as the title of your listing. It is also the text that appears at the top of your browser when you visit a webpage. Search engines place a lot of importance on what keywords they find in a title tag. It gives the robots an idea of the context to a webpage’s content. In short, title tags — and the keywords that we use in the title tag — help search engines understand what a webpage, website, or business is actually about. Don’t forget to add your best, primary keyword in the title tag that not only has a high search volume, but that also perfectly defines what your business is and does. Here is an example of a good title tag for a local business. As with the title tag of the webpage, the meta description is another important aspect that search engine crawlers browse. Consider your webpage’s meta description as a text snippet that not only contains valuable keywords for your business, but as a mini advert that also helps readers click on your search engine listing over your competitors. Pro Tip: A high click-through rate (CTR) in the SERPs may lead to improved search engine rankings. It must contain important keywords that are relevant for your business and have high search volume. Each webpage should have a unique meta description (the same applies with the title tag). Make sure that you include the main keyword that you want to optimise that specific webpagefor. Each page on your website should be optimised for different keywords. Apart from the search engines, human readers also see the meta description in Google’s search engine result pages so make sure that the description you write is so compelling and enticing that it encourages users to click your link over your competition. I will, once again, use the above example. This time, focus on the meta description. See how well it is written. It not only encourages readers to click on it, but it also contains so many important keywords. If you are using a Content Management System (CMS) like WordPress, Square Space or Wix the title tag and meta description are super easy to update. results pages (SERPs). The loading speed of your website is now an official Google ranking factor. Apart from that, there is another way you can use images to optimise your website for SEO. You may not know this, but search engines cannot read or understand images. They can only interpret text. So when you upload images on your website, search engines have to no idea what they are of. That’s the reason why search engines like Google want you to insert ‘Alt Text’ code to each image your upload to describe what the image is about. This is your opportunity to insert your primary keywords in relation to specific images. Also, if a user can’t see an image for some reason, they see that ‘Alt Text’ in place of that image. It improves user-experience and, hence, is very good for the SEO of your website. Finally, before you upload an image to your website make sure you name it with you keywords in mind. For example, name your images “Keyword-123-area- XYZ.jpg”. By naming your file Google will further be able to understand its contents. Pro Tip: Make sure each image on your site has a different file name. Use different keyword variations in your file name. While ‘anchor text optimisation’ may not be completely under your control, it is still something you should know about. And whenever you get an opportunity to customise the anchor text you are getting, you can leverage your knowledge to optimise your website’s SEO. For those of you that don’t know what “anchor text” is – it basically refers to the text that is used when a website creates a link to another website. For example, “home page” is the anchor text in the following link: home page. Search engines like to keep an eye on all the anchor texts linking to your webpages, both from internal pages on your own website and external websites. It helps them understand what keywords other website owners usually use to describe your webpage. You get the idea, right? It is a best practice to diversify the anchor text — so as to target numerous relevant keywords. You can take control of the anchor text on your own website by carefully selecting the words you use to interlink between your own webpages. You can also control some of the anchor text links to your website from other sites via guest blogging, content syndication, and other content marketing techniques. But that’s a talk for another day. If you want to optimise your local business website, this is perhaps the most important part of the process. Your local business website must be mobile-friendly. Full stop. There is no other way to go about it. Local customers often use mobile devices to search for nearby businesses. We have already seen the growing impact of mobile devices and smart phones in today’s digital marketing landscape – and it is not going to stop. If your website isn’t mobile-friendly, search engines will not rank you highly in their search engine results pages. responsive. So make sure that your local business website is fully compliant with every mobile device or smartphone out there. Most pages on your website have headings, right? to help understand the context of a webpage? You can assign headings different “levels” of importance. On each page on your site you should have one H1 tag, and then where necessary add H2 and H3 tags for subheadings. The use of keywords in headings is another relevancy factor Google takes into consideration so make sure to use your most important keyword somewhere in your H1 tag. Take a look at this URL for a local carpet cleaning company. Notice how the most important keywords are used within the URL of the webpage. In the case of this webpage the keywords for this local business are “Carpet cleaning” and “Beckenham”. Search engine robots pay close attention to the URL of a page to help understand what the page’s content is relevant to. Make sure on your local product and services pages that your location and product/service name are included in your URL. Schema.org has been nothing short of a revolution in how websites appear in the search engine results pages. It has been around for some time now, but unfortunately, local businesses have been very slow in adapting to it and including Schema.org. According to an article by TechCrunch (albeit from 2012), only 25% of local U.S. businesses have websites and only 10% of them display prices online. This shows how slow local businesses have been around the web in updating to SEO and web technological updates. Schema markup is another such technology. It allows search engines — like Google, Yahoo! and Bing — to display valuable, important information about a business website. This information may include online reviews, prices, sitelinks, number of hours required to perform a task (recipes), testimonials, or even entire menus in the search engine results pages. This extra set of information in the search engine results pages can significantly increase the organic CTR (the click-through rate that the a website gets), which can eventually increase search engine rankings for that website. Side note: In the following example, we use the “Articles” data type as it is easily the most common form of online content that most local businesses use. But based on your specific requirements, you can use the following method to structure any type of content or online data. Go to Google’s Structured Data Markup Helper, select a data type (in this case, we are going with ‘Articles’), paste your URL in the box and click ‘Start Tagging’. The next section divides your web page into two segments. The left pane shows your page; the right pane display the data items. Now select the element you want to mark up and select the most appropriate tag for it. Here is an example of selecting the ‘Name’ tag. Continue tagging all the elements and once you have finished, click ‘Create HTML’. the HTML file to your source code. There are a lot of Schema markups available that you can use. One tip is to visit the Organisation of Schemas page to see the list of Schemas; you can select the most common types of schema markup from there. On the other hand, the All In One Schema.org Rich Snippets plug-in for WordPress also comes highly recommended. You will find that there are several Local SEO ranking factors scattered through this ebook. And as you continue to read you will gain a sound understanding of how search engines rank your website in local search engine results pages (SERPs). If you really want to optimise your local business website and get at the top of the SERPs, these are the factors that you need to pay attention to and understand. It is perhaps one of the most important Local SEO ranking factors for local business websites. Make sure that you pick the right categories for your local business. Otherwise, you may find it extremely difficult to rank for the right type of business. In simple words, do not select your business category as “accountant” if you are an “electrician”. Come up with a Business Name, Business Address and Business Phone Number structure (aka NAP) and use it exactly across the web. Do not change it. For instance, “Happy Florist Shop” and “Happy Flower Shop” is an example of inconsistency. If you use different business names, addresses and phone numbers when creating citations their SEO value will be diminished. Do not change your NAP unless absolutely necessary. If you have to, make sure you change ALL your previously created citations with the new information. The citations you get should be from authoritative websites. It is common sense, after all, that having your business listed on high-quality websites is going to help you more in the search engine rankings than being listed on low-quality websites. Therefore, one of your Local SEO strategies should be to first target as many high quality and authoritative websites as you can. Once you get citations from such websites, you can gradually expand your reach and envelope more and more websites. It’ll give your local business website a strong citation profile and that will help you in achieving higher search engine rankings. Chapter #8 of this book specifically deals with citations and where to get them. “Domain Authority” or “DA” is a metric that predicts how well a website is supposed to perform in search engines as compared to other websites. There are several factors that effect Domain Authority, but the important point here is that DA is a significant Local SEO ranking factor. MozBar is an easy to way to check a website’s Domain Authority. If you want to learn more about DA, here is a very good article. Every city or region has a “centroid” — the central area of the city. 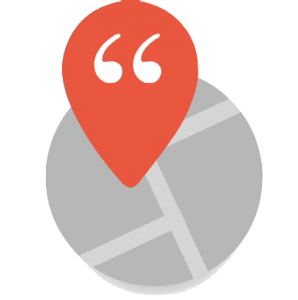 The proximity of your local business’s address to the centroid can have a large role to play in the Local SEO ranking positions for your business. Some local businesses do try to get around this by buying “virtual” office space in the city centre they are targeting. they may not always include the keyword “Chelsea” in their query. that match the keywords and business description. So proximity of your local business with the online searcher is another factor that comes into play. Unfortunately, this is another Local SEO factor that you can’t control. At the moment, backlinks are in the top 3 search engine ranking factors for Google. And the rule isn’t very different when it comes to local businesses SEO. What is a “backlink” a hear you say? It is simply a link between one website and another. You can use tools Ahrefs or Moz’s Open Site Explorer to analyse your website’s backlink profile. website has to rank higher in the SERPs. Chapter 12 of this e-book contains all the details you need to know to build powerful backlinks for local businesses. As the name of this point suggests, it is important that you include the name of your town in the title tags you have on your website, as well as all the other on-page SEO key areas we mentioned in Chapter 5 in this e-book. So, those were 8 very important Local SEO ranking factors. How many are you optimised for? Of course there are many other factors that play their part in determining a website’s search engine ranking position in the results pages. But, more often than not, these are the 8 factors that significantly affect a website’s local ranking position. In Local SEO, citations are referred to as “mentions” of your local business on other websites and web pages. A local citation is anywhere where the business name, address, and phone number are listed together. In the LocalSEO world, it is commonly known as ‘NAP’. The important thing to note here is that citations are “mentions” — even if there is no link back to your website. So if a third-party website mentions your website, it can be referred to as a citation. And it does not matter if that website has created a backlink to your website or not. A very common example is that of the online yellow pages or other directory websites. In online directories, businesses details are often listed and mentioned, but links are not always created back to the websites of those businesses. In Local SEO, citations are very important. They are considered a crucial Local SEO search engine ranking factor. The more citations a local business website has across the web, the better positioned that website is to get higher search engine rankings. In other words, all factors being equal, a website with more citations is going to appear higher in the search engine rankings than a website with fewer citations. 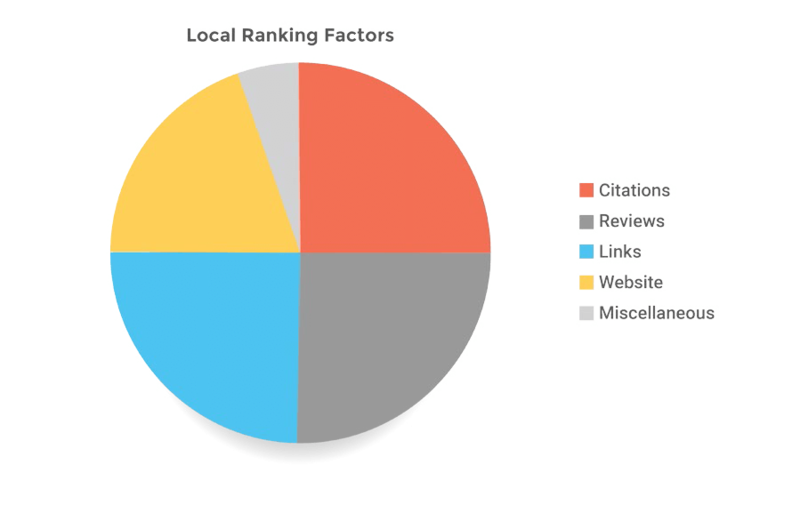 According to a study by David Mihm, citations can make up to 25% of the local SEO factors. Citations are also important because search engines acquire important business-related information from these listings and mentions. Third-party websites such as Yelp, FourSquare, and HotFrog etc. are regularly crawled by search engines (Bing, Google, etc.). You need to have as many citations as possible in these places so when search engine crawlers crawl these websites, they find your business and its details. Pro Tip: Send me an email at josh@improvemysearchranking.com I’ll send you a list of over 150 citation sources. Local blogs are also great places to get your business mentioned. You can find many interesting local blogs by running a simple Google search. Use a “[your city] + blog” search query in Google to find relevant blogs in your regional area. The best thing about using this search string is that the blogs that do appear in the SERPs are likely to have a good reputation in the eyes of search engines. They are likely to be well established and will give you better SEO value. If you can persuade the website owner, you should try and publish guest posts there to get a good citation and even a backlink to your site. These local business directories should be in your radar to get your business cited. Just as there are local business directories, there are also industry-focused directories that you can leverage to get your local business mentioned. It is always a great idea to look for local blogs to get your business mentioned. That may get you a citation, a backlink, and potential customers. However, you do not have to be limited to that. When you are done targeting local blogs, you should also target industry-focused blogs. And since that’s a narrower, more targeted search, you do not have to be limited by regions or local area. Just shortlist a few industry-related blogs and target them to get citations. Using a tool like WhiteSpark or Rocket Ranking you can discover what citations your competitors have and go about trying to replicate them. You can manually get citations by the methods mentioned above. However, there are also a few tools that simplify and automate the process for you. 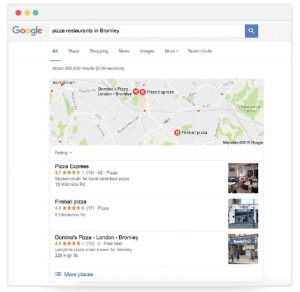 In 2015 Google made a significant change in the way local businesses appear in the “Local Map Pack”. The Local Map Pack now always appears above all organic results, which gives local businesses an edge over natural, organic results. On the other hand, where there used to be 7 results in the Local Map Pack, now there are only 3. This has added more competition as businesses only have 3 places in the local map to compete for. Nobody knows. Perhaps Google had sufficient data that users are not clicking past the 3rd map pack result. We do not know the exact reason for sure. But we all know that Google has a habit of testing different things, and this is one of them. We also know that Google often tests different things and also revert back to the way things were. in the top 3 results. You should outline your NAP data for your business at the start of your Local SEO campaign and keep it consistent. If you are constantly changing your NAP data when adding your business to new directories, search engines will not be able to work out where your business is, what it is called or what its phone number is. Unless it is absolutely necessary to change anything in your planned NAP data, do not. consistency and do not make any unnecessary changes. 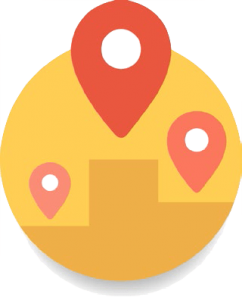 Although we have discussed in detail the creation and optimisation of a Google My Business account, it is still a very important factor when it comes to surviving in the 3- pack map results. 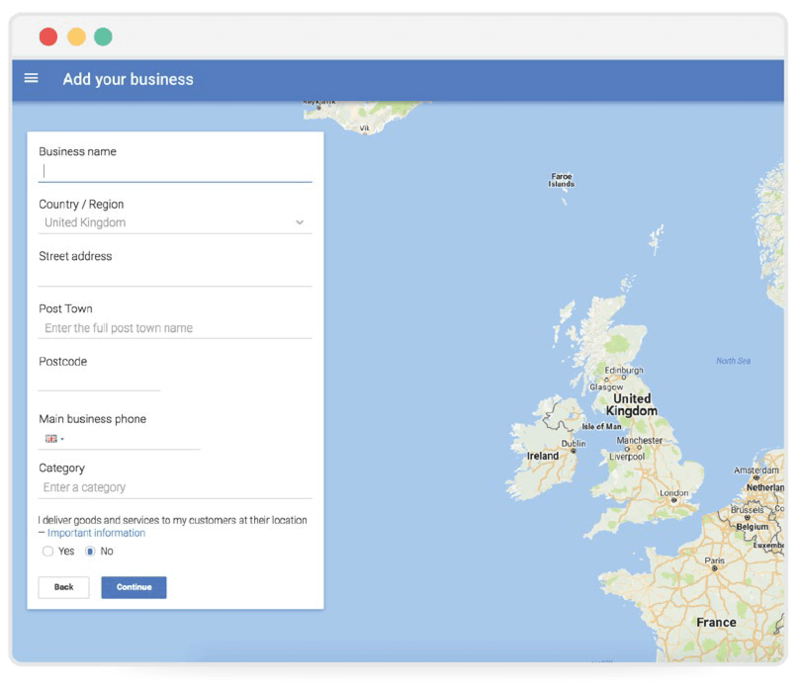 When you create a Google My Business account, it connects your local business with Google Maps. With a well-optimised profile and website, you give your business a greater chance to appear in the top 3 local map pack results. Online reviews play an important role in appearing in the top-3 Local Map Pack results. for your local business’s search engine rankings. 2. Secondly, it is not just the amount of positive reviews you get. The frequency by which you get online reviews also play an important part. Consistency is key here, so keep working to get more reviews on a continuous basis. The citation profile of your local business is another factor that Google considers before ranking it in the top-3 map pack results. Again, consistency is the key. You need to continuously work round-the-clock to strengthen your local business citation profile. Most directories do not create a link back, so the only way to properly create a citation is by aligning your NAP information. Chapter #8 of this e-book explains what you need to know about building citations. You know how important backlinks are, right? It does not matter if you are a local business or not, search engines greatly value backlinks and the “SEO value” they bring with them. If your local business website has a great backlink profile, it is more likely to appear in the top-3 results in the Local Map Pack than with a website that does not have a very strong backlink profile. 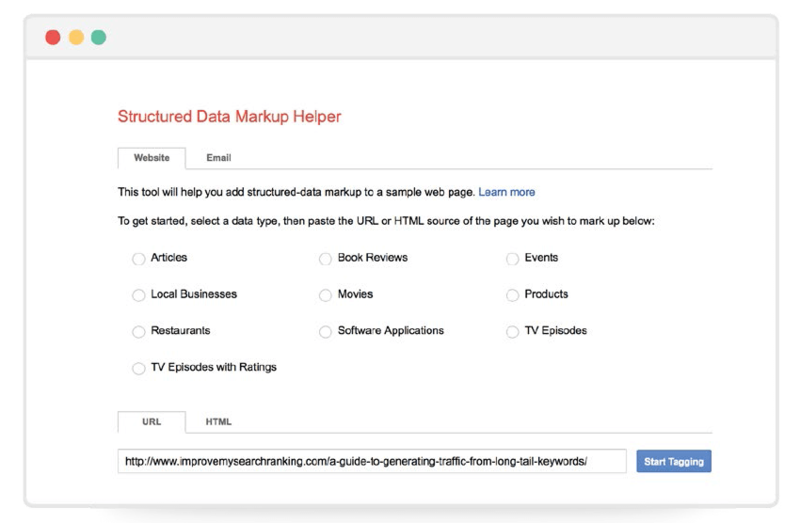 Learn more about how to build backlinks later in this guide. Last but not least, location is something that will continue to play a major role here. Charing Cross, your business will probably not appear in the results. It is because proximity to a local business is something that search engines value a lot. Google are not going to show businesses that are very far from the searchers location; it would be illogical. So optimise for the specific area your business is in. When it comes to Local SEO, building credibility with reviews and online testimonials is an extremely important aspect. We all know that testimonials and social proofing are important in online marketing and business in general, but they are even more crucial in case of local business SEO. This is because search engines pay a lot of attention to these online reviews. Last year, Moz conducted a study on local search engine optimisation factors, and they found out that reviews directly impact the search engine rankings of a local business website. In fact, Moz found out that the total number of reviews, the frequency by which your website gets reviews in the online world, and the diversity of the reviewing websites, all directly impact the search engine rankings of your website and how it generally appears in the SERPs. number of customer conversions you get. In this chapter, we discuss different ways you can get more reviews and build credibility for your local business. Just ask your customers to leave reviews. Seriously. Sometimes, it is just that simple. There are so many businesses that leave wonderful opportunities of getting good reviews for their business from their satisfied, existing customers on the table. The only thing they have to do is to ask their customers to leave a review. It does not have to be a “good” review. Don’t ask for that. Most customers are likely to give you a good feedback anyway. Furthermore, the next time you get a customer who compliments you via email or phone, thank them and ask if they would be kind of leave the same compliment in an online review. You will be amazed to see how many awesome reviews you will be able to collect by just asking. Unless leaving a review is an easy experience, they won’t actively look for ways to leave one. This is why it is your responsibility to make it extremely simple and easy for them to leave online reviews for your local business. You can use in-shop “Find Us On Google/Facebook/Yelp” banners to increase the number of reviews you get. Another way is to put direct links to your review websites in multiple “hot spots” on your website or in your email signature. 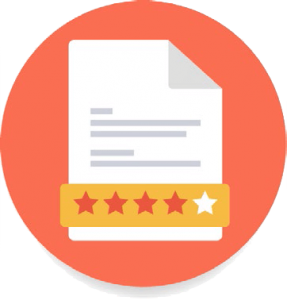 You can also give these direct review links to your satisfied customers via a thank-you email that you can send after a transaction is completed. First of all, providing an incentive is definitely not the same as “buying reviews”. Buying your reviews is bad, unethical, and does not add to your online marketing goals. However, providing incentives to get more reviews is sensible and highly recommended. Even the most satisfied customers sometimes need a push — a little incentive — to leave a review. This is where this technique comes in. Offer something cool to people who review your business, and that should be a good enough incentive to increase the average number of reviews you get on a monthly basis. However, make sure that the incentive you are offering is for a leaving a review — not for leaving a “good” review. 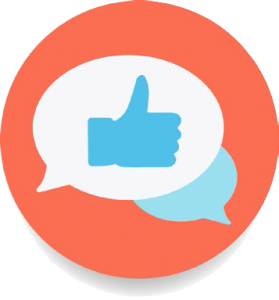 Leave it to your customers whether they want to leave a positive review or a negative one. Just focus on providing high-quality products and services to your potential customer base, and most of the reviews you get will be positive ones. A common technique is to offer a monthly giveaway to a random reviewer. You may want to try it. Whenever anybody leaves a review for your local business, don’t forget to thank them. It is a proven technique to get more reviews and loyal fans, and you see it all the time in action on different social media websites. Notice how popular brands use social media websites, such as Facebook and Twitter to thank each reviewer and customer — even the ones who leave negative review. It not only builds your credibility, but it also makes other customers comfortable to leave reviews for your business. Even if you do not believe that your local business is review-driven, it is still a very good idea to set up profiles on multiple review websites. Research and shortlist all the review websites that are relevant to your local business and then start creating your profiles there. Some of the most popular and commonly used websites are Yelp, TripAdvisor, Reviews.co.uk, etc. Websites like TrustPilot has reviews that also show up on Google, so that’s an extra benefit there. Anyway, the point is to have online presence on multiple review websites so you can leverage every ounce of potential from there. The bottom line is that getting online reviews should be one of your primary business goals. If you really want to improve local SEO and enhance your business’s credibility, this has to be an on-going process. During this process, you will get some negative reviews on the way. It does not matter. For as long as you are keeping most of your customers happy and satisfied, and are genuinely offering a good product that solves their problems, you will mostly good reviews. Furthermore, remember that it is not always about the good reviews you get. Search engines also take into factor the frequency by which your local business gets reviewed, and that’s an important search engine ranking factor in Local SEO. Backlinks are important. We all know that. Recently, it was reported that backlinks are in the top 3 Google search engine ranking factors — along with content and Rank Brain. And backlinks aren’t just important for traditional SEO. They are equally important for local businesses because they improve a local business website’s Domain Authority, credibility, and they directly affect its search engine ranking positions. However, backlink building strategies for local businesses can be a little different than building backlinks for a website that isn’t a local business. 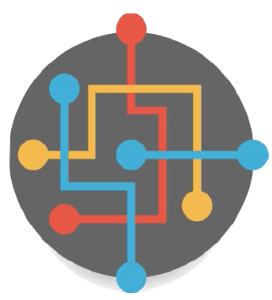 As a local business you want to generate backlinks that not only help you in your quest for higher local search engine ranking positions, but also increase your exposure, traffic, and customer base locally. Business owners have often found it difficult to build meaningful and relevant backlinks with ease. But make no mistake, it is an important search engine ranking factor for your local business website — one that you can’t do without. So in this chapter, we discuss a few proven ideas using which you can generate high quality backlinks for your local business website. Here are 8 methods you can start using right away. As a local business owner, can you sponsor local sports teams? It not only enhances your credibility and gives you more exposure, but also generates high-quality local backlinks for your business website. 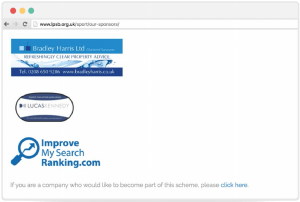 When you sponsor a local sports team, first of all you get relevant backlinks from the website of that sports team. Then you get mentioned on social media websites, such as Facebook, Twitter, Instagram, etc. Lastly, you also get covered on local blogs and local news websites, which help you land some very high-quality and relevant backlinks. Whether it is Christmas or St George’s day, there are dozens of opportunities every year when you can host local communities and create events. And that’s another great way to get some exposure and backlinks. Organise a community gathering event that families and local people can enjoy, and you are more likely to get covered in the local news and get important backlinks and social mentions. Go to meetup.com and you will find that it is an untapped goldmine of incredible local links. The idea is to search for local groups that are directly related to your business. If you can’t find such groups, you can branch out to other categories that also link to your business somehow. This is just to ensure that the backlinks — and traffic — you get are directly relevant for your business. exposure, social mentions, and potential customers that come with it. It is a very simple concept, but it can help you land multiple high-quality backlinks. The idea is to create a local resource page that others can find helpful. Bonus points if you can create a local resource page that is also directly related to your business. For instance, if you have a great judgment and taste for a curry, you can create a local resource page that lists and shares all the best curry houses in town. Because of the fact that people in your area and your customers would find such information useful, you are likely to get a lot of backlinks from local websites as well as from websites that aren’t from your region. Pro Tip: Once you create these resource pages, reach out to all the businesses you have mentioned. They would actually thank you that you mentioned them and share your local resource page link on their website and social media profiles (it’s free publicity for them, after all!). When they do share, you will free high-quality backlinks. Win-win. 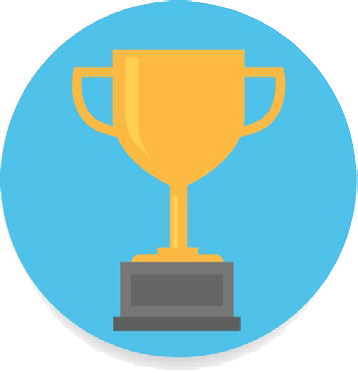 Almost every local area or community frequently organises regional competitions and distribute awards. 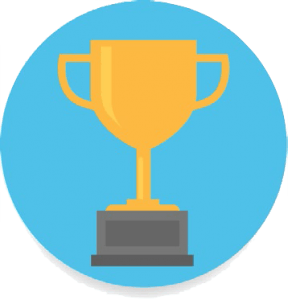 Brainstorm, research, and find the potential competitions and awards your business can get nominated for. Every community or local region has some local figures that are popular. To get more local backlinks, you should try to interview some of these local figures and celebrities. Once such an interview gets published, it almost always gets a lot of backlinks and SEO value. Create a list of all the best local business websites that are in your area. Shortlist the ones that are directly or semi-related to your business. Once you have finalised your list, approach each one of them and offer to write a free guest-post. As you must know, guest-posting is one of the best ways to acquire relevant backlinks. You can also use this technique with local bloggers. Reach out to them and offer to write a free guest-post in exchange of a backlink. Almost every town has its own local business directory. That’s a great source to get a relevant backlink to your local business website. Research and find your city’s local business directory and get your business listed in that. You will get a backlink and free publicity for your business. Do you know what the major benefit of online marketing and online business over traditional forms of business and marketing? In online business, you can track almost anything. It is an option that offline business owners simply do not have. Google Analytics is one of those applications that you can use for free and track every activity that happens. 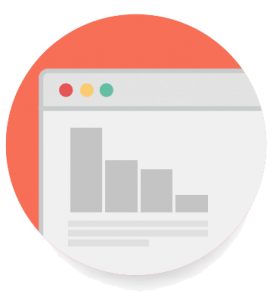 You can then use this data and information to rectify your mistakes, improve user-experience on your website, increase conversions, and grow your business. In this chapter of our e-book, we are going to explain how you can setup Google Analytics. Once we are done with that, we will also setup Google Search Console (formerly known as Google Webmasters Tools). You get a lot of valuable information when you combine both these tools. 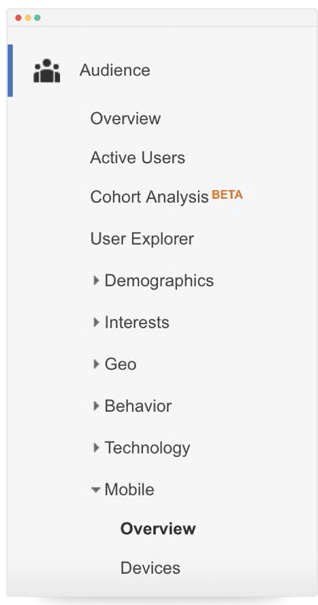 First, visit Google Analytics You will see a screen like this. Click “Sign In”. If you do not have an account it will prompt you to create one. Once you are in, you will see this screen that you will have to fill in with the appropriate information. Just insert the right URL of your website (that’s the most important part). Once you have done all this, you can click on the ‘Get Tracking ID’ button. You will be then asked to accept Google’s TOS. Click accept to proceed. You will then be given a tracking code that you will have to use in your website, so Google Analytics can start tracking the activity there. The tracking code would look something like this. You will have to paste this code to each page of your website so it can be tracked. If you have don’t the right HTML knowledge for it, consult a web developer to help you – it should be very quick and easy to add. It would take approximately 24 hours for your website’s stats to appear in Google Analytics, and then itwould start tracking every activity going forward. Google Analytics can be confusing (just because there is so much information and stuff in there). 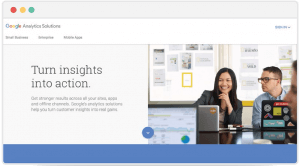 If you are getting overwhelmed by its interface, you might want to check the following guides and tutorials to get acquainted with Google Analytics and learn how to use it properly. By now, you have setup your Google Analytics account. Now it is time to get Google Search Console ready. Google Search Console (GSC) gives you a wealth of valuable knowledge regarding your website. You can also use GSC to improve the SEO health of your website. In this section of the e-book, we will see how to setup your website in Search Console. 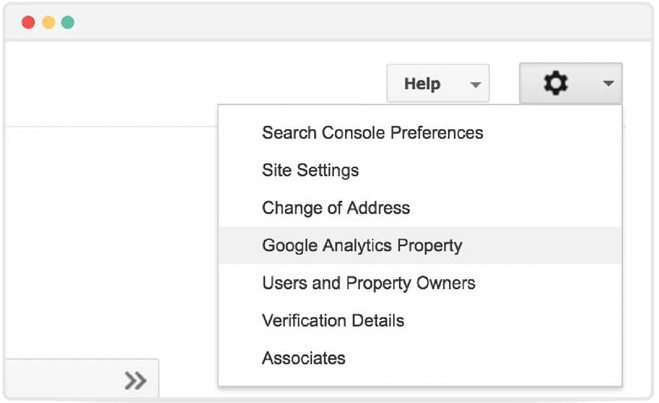 The first step is to always add your website (property) in Google Search Console and verify it. Without doing this, you cannot do anything else. 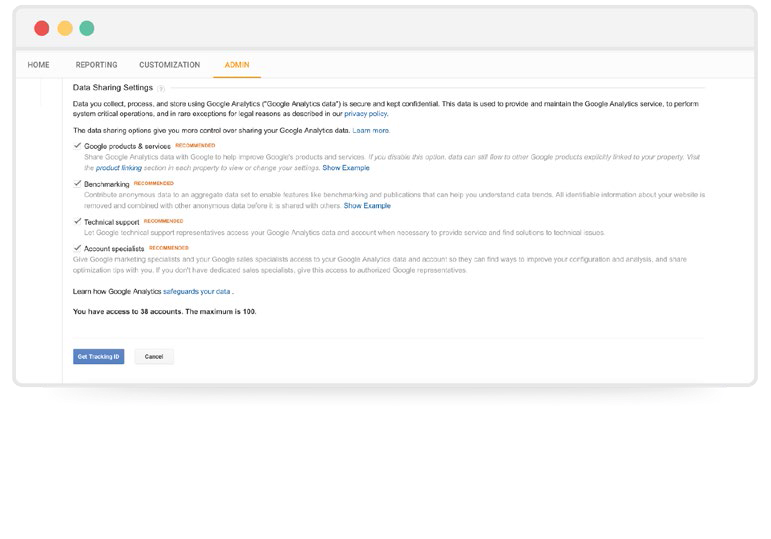 Visit Google Search Console and use your Google account to log in. After logging in, find the red button that says ‘Add Property’. This is where you add your website. Enter the URL of your website as it is and click the ‘Add Property’ button. Make sure that you copy the URL of your website exactly as it is. Otherwise, Google Search Console may not get it right. Once you have added your website, it is time to verify it. There are a few different ways to verify your property in Google Search Console. But since we have just created and setup a Google Analytics account, we will use that method. 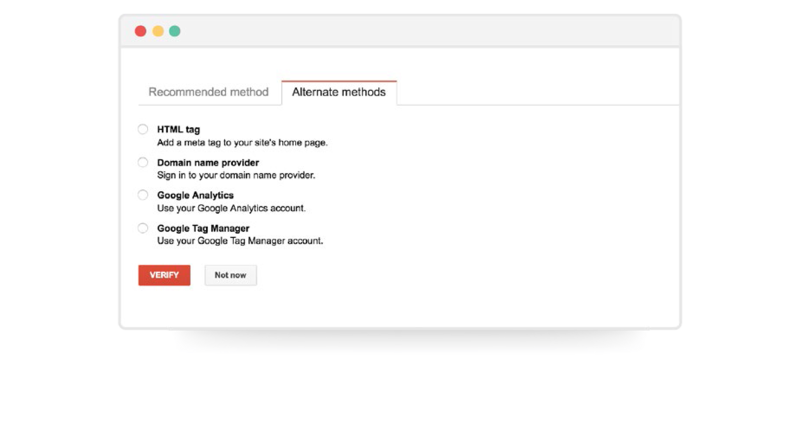 Click the ‘Verify’ button and select the ‘Google Analytics’ method. 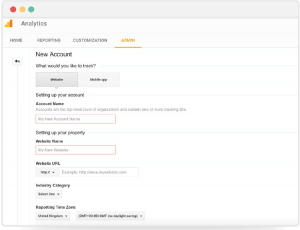 As you have just setup the Google Analytics account, simply hit the ‘Verify’ button and that’ll take care of it. Now you have both Google Analytics and Google Search Console setup. 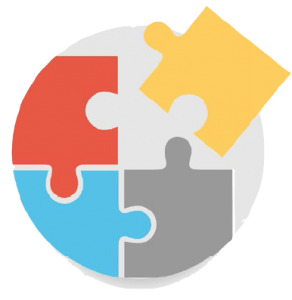 There is just one more thing that you may have to do it, i.e., combining your GA and GCS account to get the most comprehensive set of information possible. Although GA and GCS appear to display very similar information, they are fairly different than each other. If you want to get the maximum amount of information, you will have to use both these products. And to get the most of both these products, you can link them with each other. To do that, visit your Google Search Console account and click the ‘Gear’ icon at the upper right corner of the screen. There you will see ‘Google Analytics Property’. Click it. It will bring all the different Analytics accounts that are associated with your Google account. Simply choose the one that you want to link with Google Search Console and you are done. Mostly because they believe in something and they start doing it without measuring the results they are getting out of it. They don’t track or audit their progress, which ultimately leads to their downfall. If you want to properly optimise the SEO of your local business website and keep growing and getting stronger in the search engine rankings, you will have to regularly run a Local SEO audit on your website. It may seem daunting to run a Local SEO audit on your website, but it really isn’t. In this section of the e-book, we share several different ways you can run an effective audit. Follow along and you will have done your first Local SEO audit in know time. SEO is mainly about keywords. This includes the keywords your target audience and potential customers search for – and the keywords your website is optimised for. The first step is to find out the keywords you are optimising your website for, which of course you should have planned. However, if you haven’t, the simplest way to do it is by using The Google Keyword Planner tool. You can also use a tool like Ahrefs (premium tool) to know exactly which keywords you are ranking for, and how much traffic those keywords are bringing you. SEMRush is another tool that can give you valuable information regarding the organic keywords you are ranking for and their exact positions. Refer to Chapter 4 for more information on keyword research. Once you have an idea about the keywords that you are or should be ranking for, the next step would be to analyse organic search results. Simply type one of the important keywords in Google in a private browsing mode and see which results come up. You will be able to find your competitors and the exact webpage they are ranking for in the search engine results pages. Especially notice the competitors that are above you in the SERPs. Note how their title tags, meta descriptions, and URLs are formed. We are going to need this analysis in the next steps. Visit their web pages and read their content. Try to identify the differences that are there. Are they using images while you are not? Are they creating longer pages? Do they use video? Is their page more engaging than yours? Your goal should be to identify your webpage’s weaknesses and come up with reasons why Google would be ranking your web pages below your competition. Based on that analysis, you can come up with ideas to beat them. Pro tip: Once you have identified a few web pages that you want to beat in search engines, you can also use The Skyscraper Technique by Brian Dean. Pro tip: Run your competitors webpages through Moz’s Opensite Explorer or Ahrefs to find out how many backlinks are pointing to their pages. Is it more than yours? If so, you need to find a way to get more. The next step in the Local SEO audit is to identify any loopholes in the meta information of your website and fix them. You can do it manually or you can use a tool like Screaming Frog to make the entire process very simple and easy to do. I’ll highly recommend that you use Screaming Frog. It’s free and makes the process very easy and fast. Just download the tool and insert the URL of your website. It will come up with a whole bunch of information. For this step, however, we are interested in the meta information of the website. First, try to identify any missing meta titles. If there are any, make sure that you write keyword-rich and interesting titles for those pages. 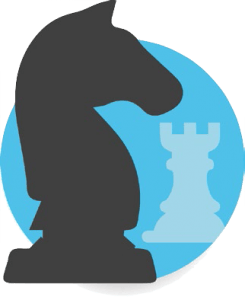 Use the competitor analysis and information that we gathered in the previous steps. Repeat the same process with missing meta descriptions. After that, try to optimise the meta titles and meta descriptions that already exist, but not are not fully optimised. Make sure they are interesting, compelling, and have the right keywords. As a general rule, make sure that the meta titles you write are not more than 55 characters and the meta descriptions are under 160 characters. Remember when we mentioned that you can use Google Search Console for SEO purposes? to improve the overall SEO health of your website. From fixing crawl errors to creating a sitemap, you can do a lot of improvements using the Search Console information. Although it still appears to be debatable, it really isn’t. Social signals directly and indirectly influence the SEO of your website. So, how strong your local business website really is in terms of social media presence across different platforms? the SEO impact of different social media signals. Also, strong social signals can lead to happy customers, more positive reviews, increase links and citations, higher time on website, and more repeat visitors. All these consequences also lead to better SEO and higher search engine rankings. You can start your social signal audit by simply searching for your brand name in Google. See how many social media platforms it shows. 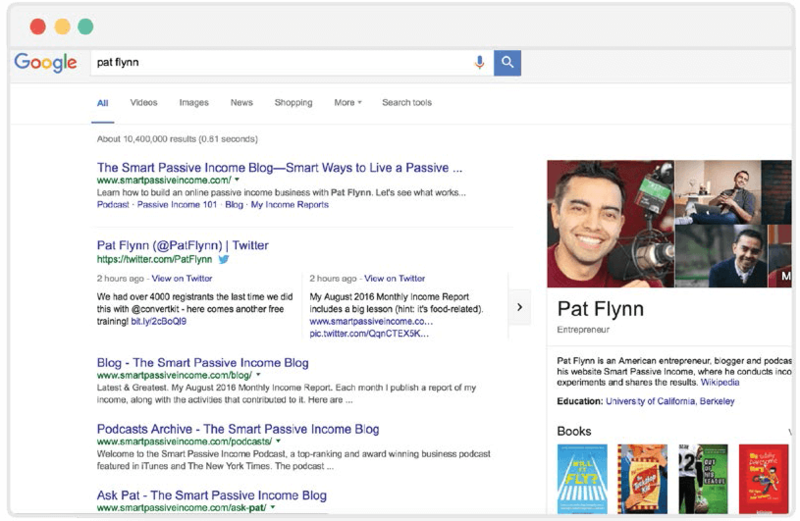 For instance, if you search for Pat Flynn, who is a very popular 6-figure internet marketer, we get this. The first page of Google displays a number of the major social media websites and Pat’s presence on it. Run a search with your brand’s (local business name) and see what comes up. The more social profiles of your business appear in the search results, the better it is. However, in case your social media profiles are not appearing in the search results, it means that your profiles are not good enough at the moment and you should work on them. Start by updating them. Make sure that you clearly use your brand’s name in the description of each social network’s profile. Also, start investing some more time on each platform. Once those networks start getting some engagement, they will start appearing in the search engine results pages. Running your own website’s Local SEO audit is one thing. Auditing your competitor’s SEO is a different ball game. 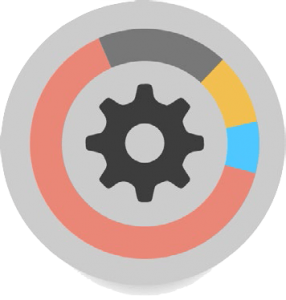 Auditing your own website helps you identify fixes and errors on your website. However, auditing your competitors SEO gives you new ideas on how you can grow your local business, improve its SEO, target new keywords, and beat your competitors in the process of doing so. In this chapter of our e-book, we will discuss a few different ways on how to audit your competitors SEO. We have already discussed a few of these tips in the previous chapter. Let’s discuss these tips and tricks from the perspective of competitor analysis. First of all, you should start with Google Keyword Planner. In the previous Local SEO audit section, we used our own website’s URL. 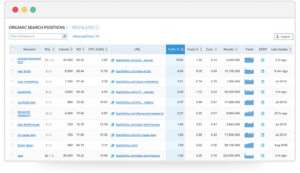 This time, you will have to use the URL of one of your competitors that you want to analyse and audit. You will be able to see the keywords your competitor’s website is optimised for. Moreover, you can also see the level of competition and search volume of these keywords. Based on how relevant these keywords are for your business, you can start shortlisting them for your own SEO optimisation process. Next, you can also use SEMRush to find analyse your competitors’ keywords and their search engine positions for each keyword. In the previous chapter, you analysed your website’s meta information (meta title tags and meta descriptions). That was an important step because you wanted to make sure that there are no missing meta tags. For that, we recommended using Screaming Frog, which is a free tool and does the job adequately. This time, you will have to use the tool again. The only difference would be that instead of using your own website, you will be analysing one of your competitor’s website. Screaming Frog will enable you to see all their title tags and meta descriptions in one neat interface. This will allow you to notice any pattern. Try to identify if you can find a few keywords used over and over. Also, search for those keywords in Google and see how well your competitor is doing for those keywords in the SERPs. Don’t be hesitant in applying some of those tactics yourself if you think those tactics are going to improve the way you have been optimising these meta tags on your website. Backlinks are one of the most important SEO factors. So it is obvious that you keep a close eye on the backlink profile of your competitors. It is important that you track what type of backlinks your competitors are getting, and from where. Then you can identify the opportunities to get backlinks from your website as well. To put it simply, you should at least match the backlink profile of your competitors if you want to overtake them in the search engine results pages. To see the backlink profile of any competitor, Moz and Ahrefs are two of the best tools. You can use either one. Once you have that knowledge, you know what you will have to do (hint: the same thing!) to land yourself a good backlink. I personally like Ahrefs more than Moz when it comes to backlink analysis. They have a very robust system in place to help you find good backlink opportunities. 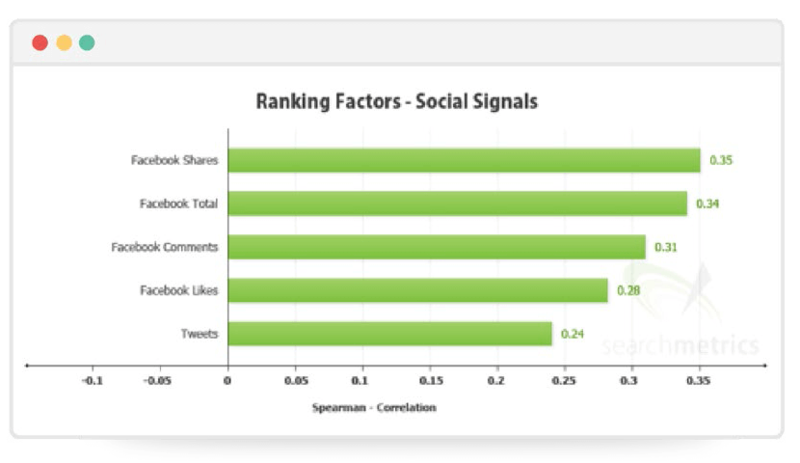 No competitor analysis can be complete without measuring social signals. Take notes of how many Twitter and Facebook followers each of your competitors has. Another important thing to note here is the number of different social media platforms they are active on. For instance, you may not be active on Instagram, discarding it as a platform that is unlikely to help you grow your business. But what if you find out that one of your competitors is doing pretty well there? That’s evidence that you should also get active on that social media website and don’t let your competitor grab the entire market share. You can also check their overall “socialness” with Klout. And don’t forget to just search your competitor’s name on Google and see how many oftheir social media profiles are ranking on Google’s 1st page. Last but not least, check each of their social media profiles and see what type of content they usually post and what content gets the most engagement from their social media followers. You can craft your own content marketing and social media marketing strategy based on that. I’m sure you’ve heard that one before. If any of your competitors is doing particularly well in search engines, it means that they must be doing content marketing right. Content is such a big part of search engine rankings, and that’s why it is imperative that you know what your competitor is doing right. 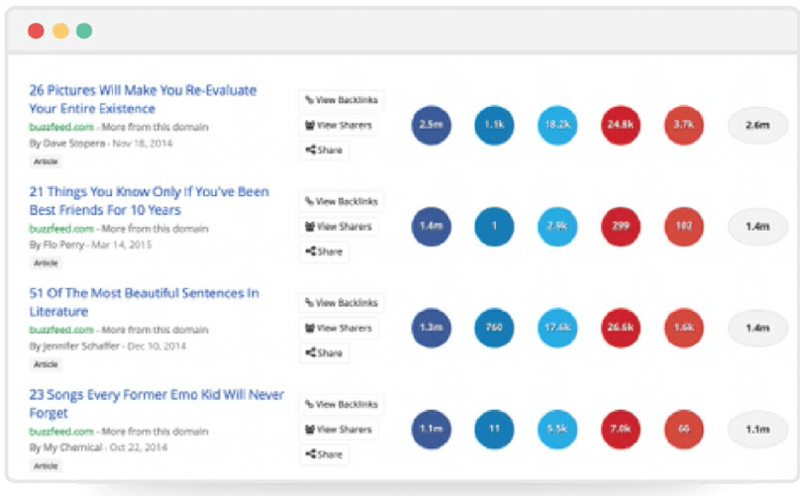 One of the best ways to audit your competitor’s content is by using BuzzSumo. Its premium version is a little expensive, but you can easily do with the free version. Simply speaking, BuzzSumo lets you find the most socially shared content on the web and the biggest influencers in a niche. When you insert your competitor’s URL in BuzzSumo, it lets you know their most popular content in terms of social media shares. On the other hand, if you are using Ahrefs premium, you do not even need BuzzSumo. 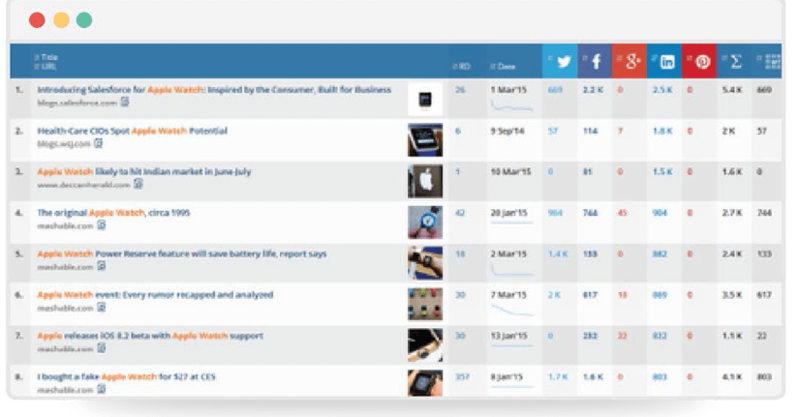 Ahref’s Content Explorer has all the features of BuzzSumo and then some. While BuzzSumo only lets you analyse content in terms of their social media popularity, Ahrefs also let you filter content in terms of backlinks and total number of referring domains. You can also Google Trends and compare each of your direct competitors to see how well they are performing each other. It may not directly give you anything useful to use right away, but it paints a very clear picture overall. You will know which competitors are actually your competitors that you should target. 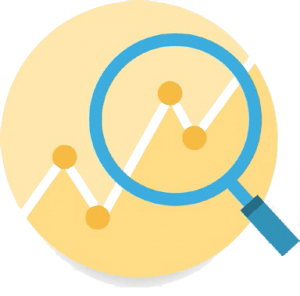 You can also for specific keywords that your competitors specialise in to see how the overall search volume trend over the years have affected them. Last but not least, Google Alerts is another tool that you should use to keep a bird’s eye view on everything. important happens in your industry. 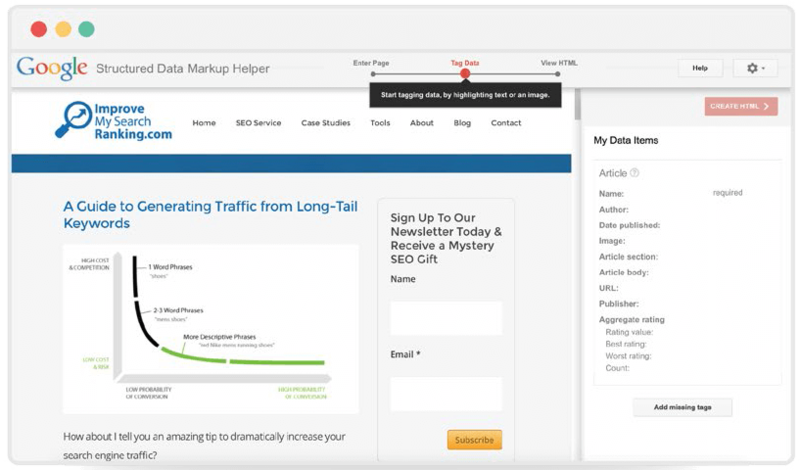 Second, you can create alerts for your competitors to see where and how they are getting online mentions. Third, you should also create alerts for your own business to keep track of all the mentions and online publicity you get. Then you can leverage that information in various creative ways to ensure maximum publicity and coverage. How do you know the Local SEO techniques you have been applying work? The only way to know is by tracking the progress of your local SEO campaign at regular intervals. To thoroughly examine your progress and track the performance of your Local SEO campaign, you are going to need numbers. You can then put all those numbers of the current month/quarter with previous months’/quarters’ in a spreadsheet side-by-side to compare. At least, this is the method we recommend when it comes to tracking local SEO campaigns. One of the major goals of any SEO campaign is to get more website traffic. So the first metric you should track is the overall organic website traffic visitors. How many website visitors are you getting on a monthly basis? More importantly, how many website visitors are you getting this year in comparison with previous year’s data? If your business isn’t old enough, you can also track these numbers on a quarterly or monthly basis. However, don’t forget to take into account seasonal impacts on website traffic. For instance, there are some businesses that reach new highs and lows because of specific months of seasons. For example, if you have a business that sells Christmas trees and decorations, obviously you are going to see a spike in traffic, conversions, and sales in the month of December. In the months of January and February, you would see a drop in website traffic, but it does not mean that your Local SEO campaign is failing. So keep these factors in mind when campaign website traffic on a monthly or quarterly basis. You can easily find these numbers via Google Analytics. 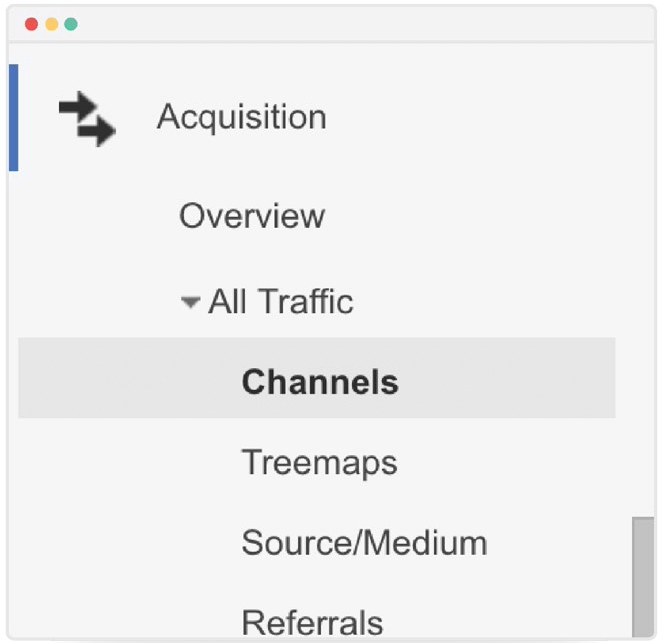 Login to your Analytics account and select Acquisition > Overview > All Traffic > Channels. Each local business website can have its own specific goals and criteria for website conversions. It can be anything, depending on your specific online marketing strategy. These goals may be converting website visitors into email subscribers (leads), converting them into customers by completing a sale, or making them call your business for lead nurturing. The key here is to keep an eye on these goals and conversion rates. Ideally, they should be consistently growing. If they are not — despite getting consistent website traffic — then you are doing something wrong. And that would be a great time to run some A/B tests to ensure you are not wasting the traffic generated by the SEO campaigns. Many local business owners rely heavily on the overall website traffic and they feel content with whatever number they get. The mistake here is that they do not examine that overall traffic number by dividing it into desktop vs. mobile traffic. Mobile usage is one the rise. And it will continue to become more crucial — especially for local business owners. It is extremely important that you are ranking high in search engine results for mobile devices and getting a decent amount of mobile traffic. As we discussed in the earlier chapters, approximately 56% on-the-go mobile searches have local intent. So that makes mobile traffic all the more important for local business owners like you. Login to your Google Analytics account and browse to Audience > Mobile > Overview to see your mobile traffic. It is important that you are mobile traffic is consistently on the rise. Also, keep an eye on the mobile search engine rankings. Google announced a mobile-friendly update. After that update, many websites — who aren’t 100% mobile compliant — have lost important search engine rankings for mobile devices. Make sure that your website isn’t one of those penalised websites. As a general rule of thumb, the total number of backlinks your website has must be increasing on a regular basis. The process of gaining and losing backlinks is a continuous one. However, when you compare quarterly results, there should be a definite increment. 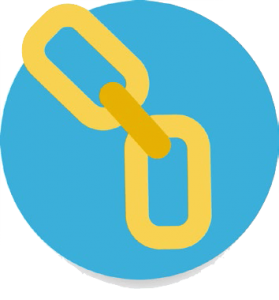 Again, we’d recommend one of Moz or Ahrefs to thoroughly examine your website’s backlink profile and keep exploring new backlinking opportunities. Organic traffic is great, but for local businesses ‘referral traffic’ is also very important. Keep a close eye on how much traffic do you get from other websites — for example, Yelp and Google Maps. If you are not satisfied with the numbers, you may need to optimise these third-party websites to get even more traffic. Perhaps the easiest way to gauge the effectiveness of your Local SEO campaign is to measure your ranking positions for your target keywords on a monthly basis. You can do this for free using Google Chrome’s Incognito browsing mode. Simply type in your list of keywords one after the other and note down their ranking positions. If you do not use the Incognito browsing mode your results in Google will be biased by your previous search history and you will not get a true view of the results. Alternatively, set up a campaign in Moz to automatically track your keywords every week. Moz will send you an email every week with the latest updates on your keyword ranking positions. In my opinion, for a business that caters for a specific local area, region, or city, Local SEO is the most important marketing strategy you can implement. Without a Local SEO campaign, you cannot expect to rank highly in Google’s search engine results pages. Furthermore, Google is continuously making changes in the way local businesses are ranked in the SERPs – so you need to keep on top of it. Yet, the techniques mentioned in this e-book are proven and tested. You must have noticed that there is a recurring theme within this e-books content. In essence there are around half a dozen Local SEO ranking factors that play a major role. These factors include: keyword research, on-page optimisation, Google My Business set up, citations, backlinks, reviews and schema mark up. In order to achieve your business goals of getting a higher search engine ranking and generating more online sales, you need to pay special attention to these factors. Keep getting high-quality backlinks from authoritative websites, citations, and positive reviews. Along with proper keyword research and on-page optimisation and you will soon start seeing better results. Epic!!! Extremely useful guide, Josh. Thanks for putting it together. This guide really is comprehensive…. One question: where is the best place to get started with a local SEO camopaign?! Thanks Michael. I would recommend starting with keyword research and competitor analysis. It is a great idea to find out which keywords could be most profitable for your business before doing anything else. Thanks James, was my pleasure! Very well put together guide, Josh. Congrats. This guide is as the title suggests, very comprehensive! There is a lot to learn in the field of Local SEO and this gives the opportunity to both beginners and experts to learn the fundamentals of how to perform a best practice local SEO campaign. Thanks Jane, yes – I hope this guide can be of use to both well versed SEO experts and beginners. Great guide…may I share it with my members in the U.S.? Yes, sure of course. We’re still adding to this post and there are some additional features coming soon too. I hope your members find it useful. Great guide. I followed this guide as best as I could. I am trying to rank a website on google UK on low competition city specific keywords. I have built more than 100 backlinks on high authority websites, directories and web 2.0s but my website is not even slightly moving up in ranking. What should I do? Any suggestions? Thanks for your comment. If you email me josh @ improvemysearchranking.com with a little bit more information I can take a look for you. Thanks! This is one of the best Local SEO guides on the earth. I loved the way Josh explains the important strategies about Local SEO. Keep doing the great work. Thanks for your kind words, Charles! Thank you so much for writing about local seo guide. I have learn a lot. If I had to recommend one local SEO guide to someone, this would be it. Enough said. Great job! This guide is simply amazing! It is extremely lucid and will be helpful for even novices about how to start with local SEO. Josh has taken efforts to explain all the nitty gritties in simple to follow steps. I would really recommend it for anyone who wants to optimize their website for the local market. Adnan, thank you very much for your kind words! You’re right, this is a beast of an article! Liking the tip about sponsoring a local sports team, nice way to generate some local and relevant backlinks. Thanx for this awesome and great guide, Josh ! This is a very impressive guide! I’m restructuring our local search strategy and I used this as a reference. Great stuff! Hi Josh, This guide is as the title suggests, very comprehensive! There is a lot to learn in the field of Local SEO and this gives the opportunity to both beginners and experts to learn the fundamentals of how to perform a best practice local SEO campaign. Thanks Jane, yes - I hope this guide can be of use to both well versed SEO experts and beginners. Great guide...may I share it with my members in the U.S.? Hi Joesph, Thanks for your comment. 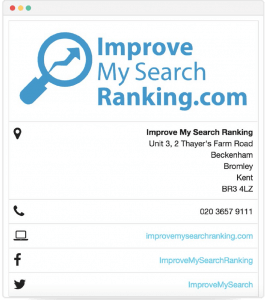 If you email me josh @ improvemysearchranking.com with a little bit more information I can take a look for you. Thanks! This guide is simply amazing! It is extremely lucid and will be helpful for even novices about how to start with local SEO. Josh has taken efforts to explain all the nitty gritties in simple to follow steps. I would really recommend it for anyone who wants to optimize their website for the local market. Thanks, Josh! You're right, this is a beast of an article! Liking the tip about sponsoring a local sports team, nice way to generate some local and relevant backlinks. This is a very impressive guide! I'm restructuring our local search strategy and I used this as a reference. Great stuff!